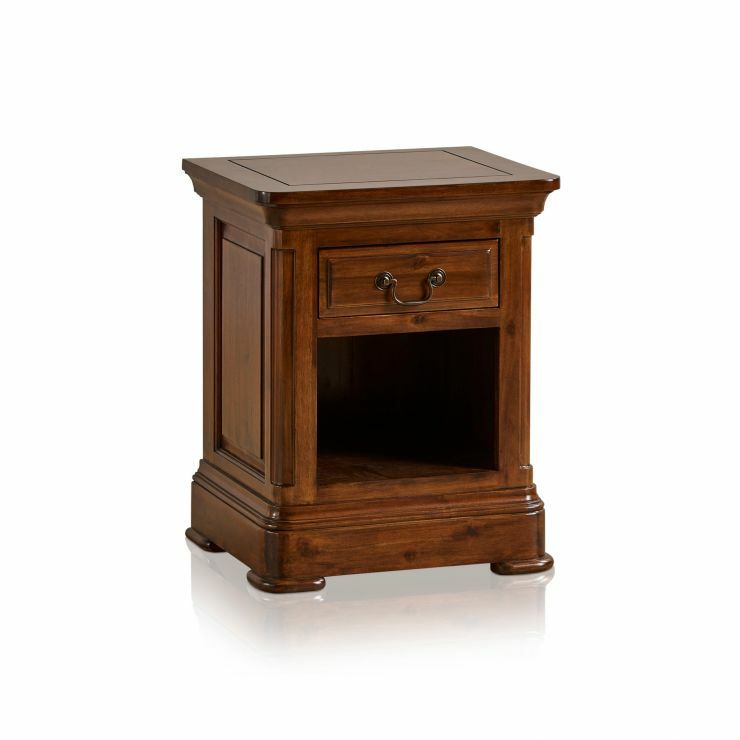 Our Cranbrook solid hardwood side table is made to be an elegant and practical addition to your living room. 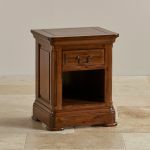 It can even act as an understated bedside table, too. 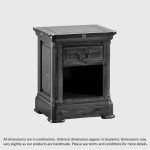 Finished in a beautiful dark-stained finish with contrasting antique brass hardware, it has traditional styling with a distinctly modern twist. 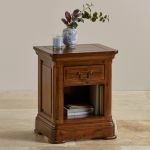 The side table is packed with classical elements, such as the rounded corners, flared cornices, and deep pedestal base which supports the lower storage shelf. It also has a useful drawer for hidden storage, which uses only solid hardwood in its construction, even the bases, backs and runners! 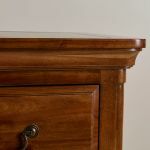 Cranbrook, as with all of our furniture collections, is made to our high quality standards, which reflects in every detail of the piece, including dovetail joints in all drawers. 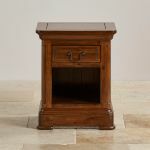 Bring this side table home today, and don't forget about our fantastic free delivery options as standard.